This is a fun and unique pendant to make and wear. Make sure to check out ideas to customize it at the end. 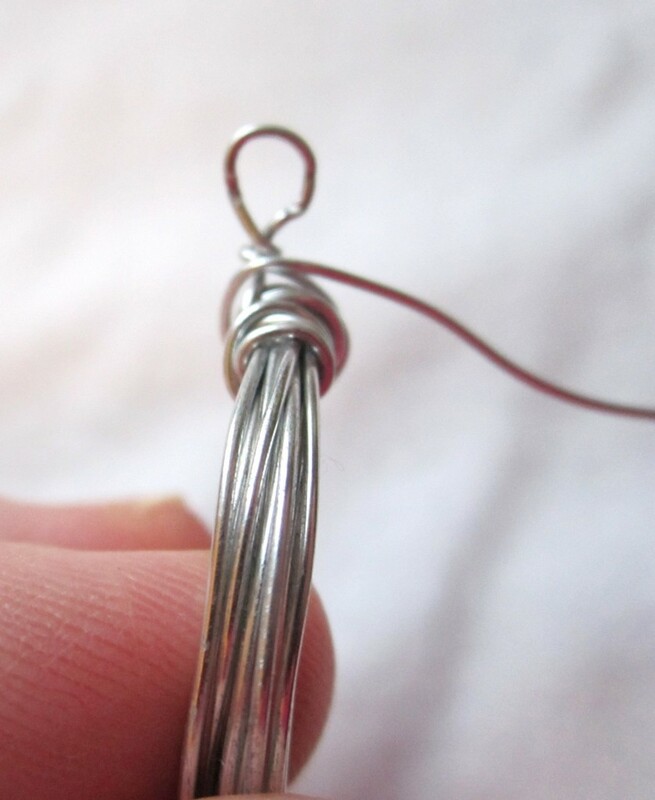 Are you new to wire wrapped jewelry? 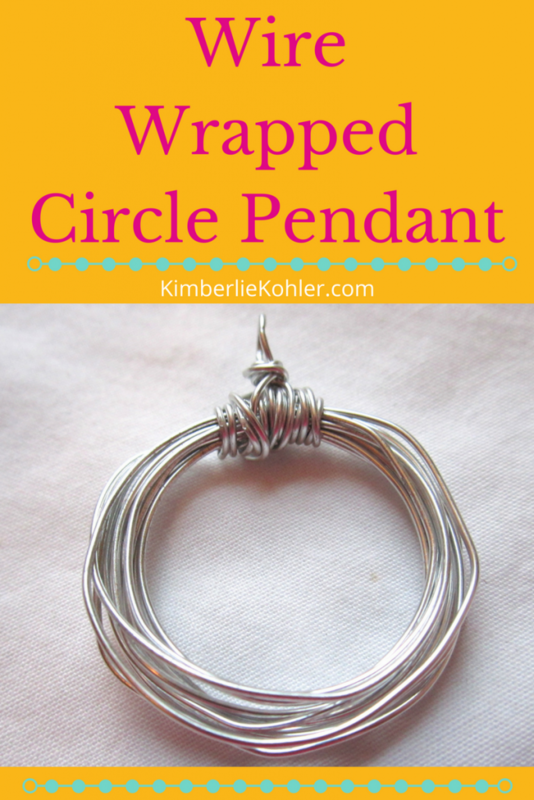 Sign up for my FREE Quick Start Guide to Wire Wrapped Jewelry and get a solid background in wire wrapped jewelry! 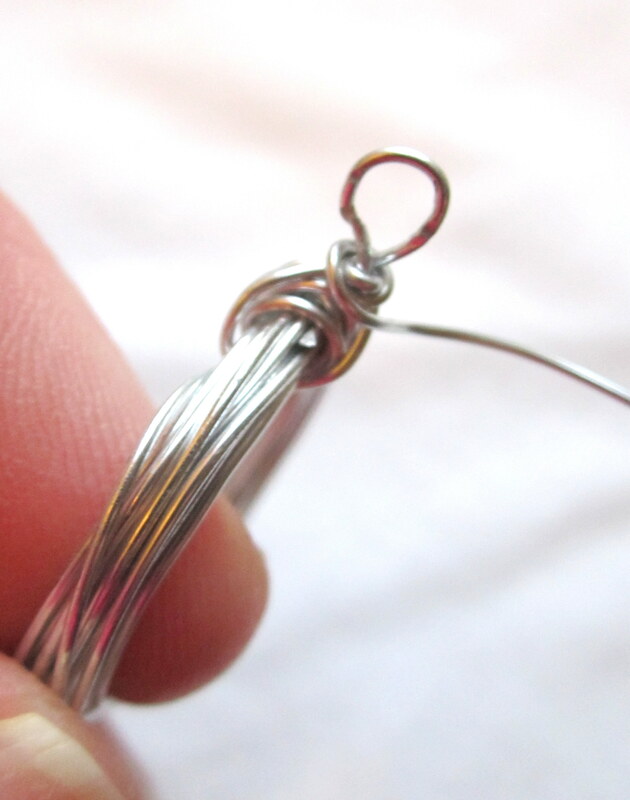 This makes a great pendant or make 2 and use them as earrings, just make sure to use a lightweight wire if you’re going to make earrings. 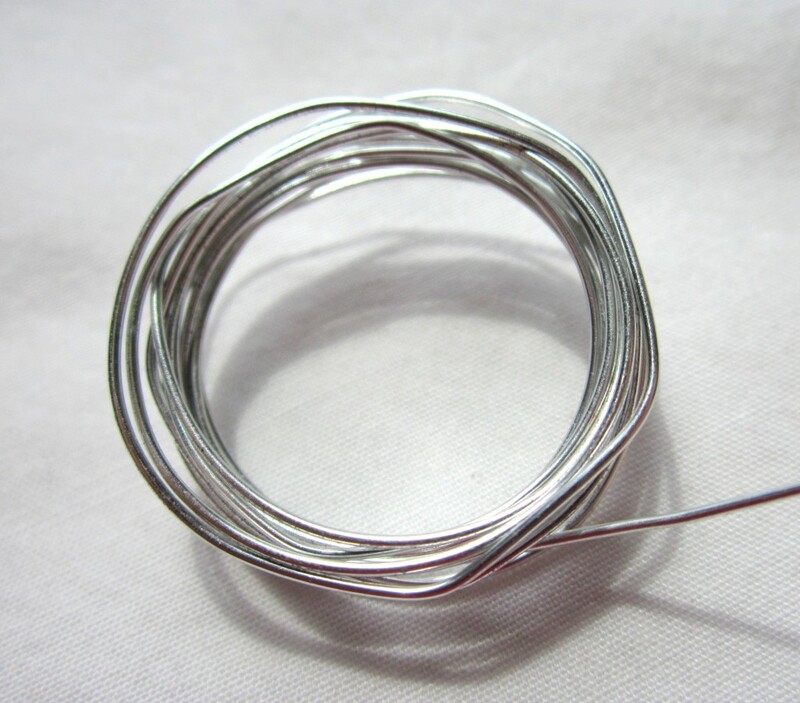 I used a lightweight aluminum 24 gauge wire, but any 22 gauge to 24 gauge wire in any metal would work just fine, too. 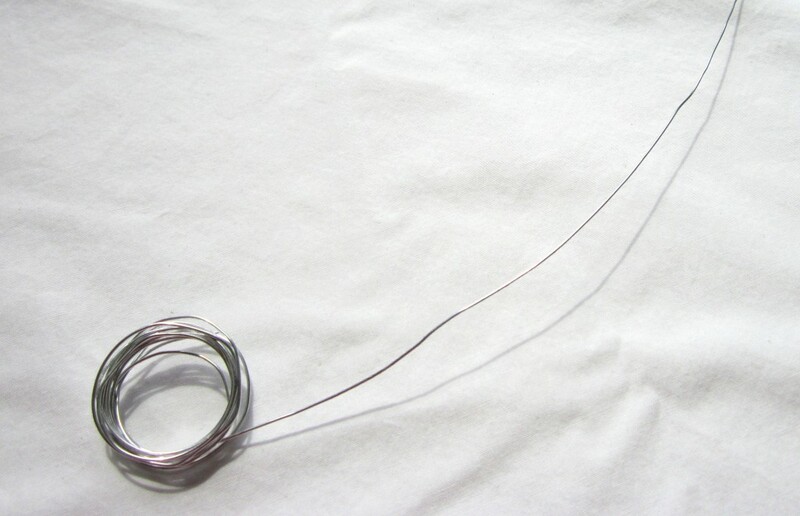 Leave the wire on the spool and work from the loose end. 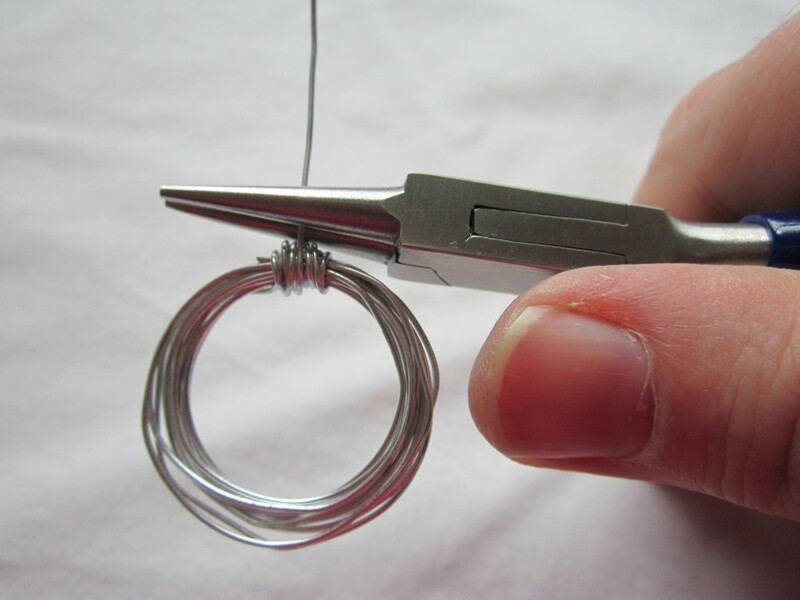 Start wrapping around the ring mandrel or whatever cylindrical object you are using. Keep wrapping until you like the size. Finish wrapping where you started. Leave a long tail of wire and cut off the roll. 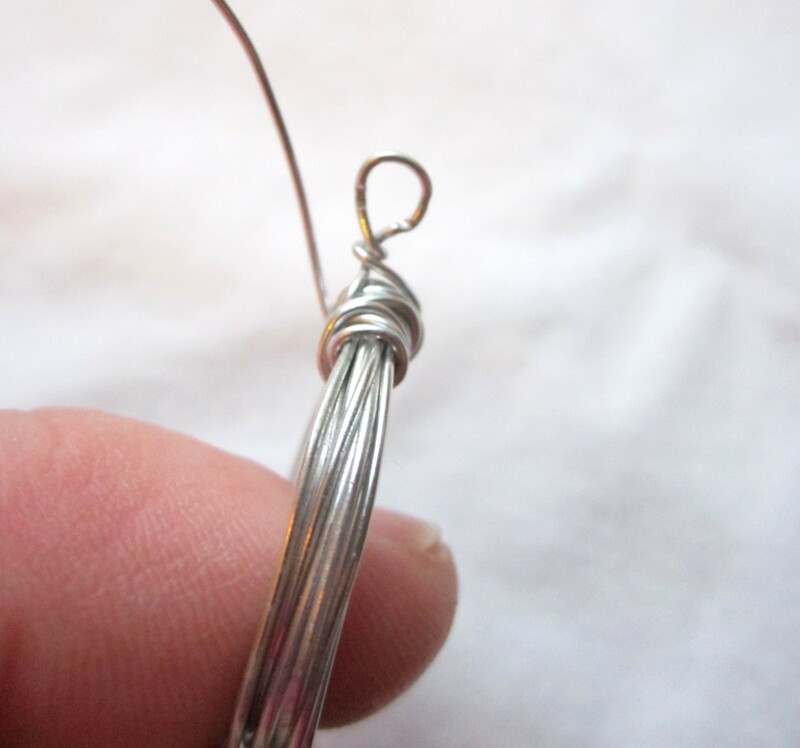 Start wrapping around the top, making sure to catch the other loose end of wire in your wraps. Wrap around several times until the top is secure. 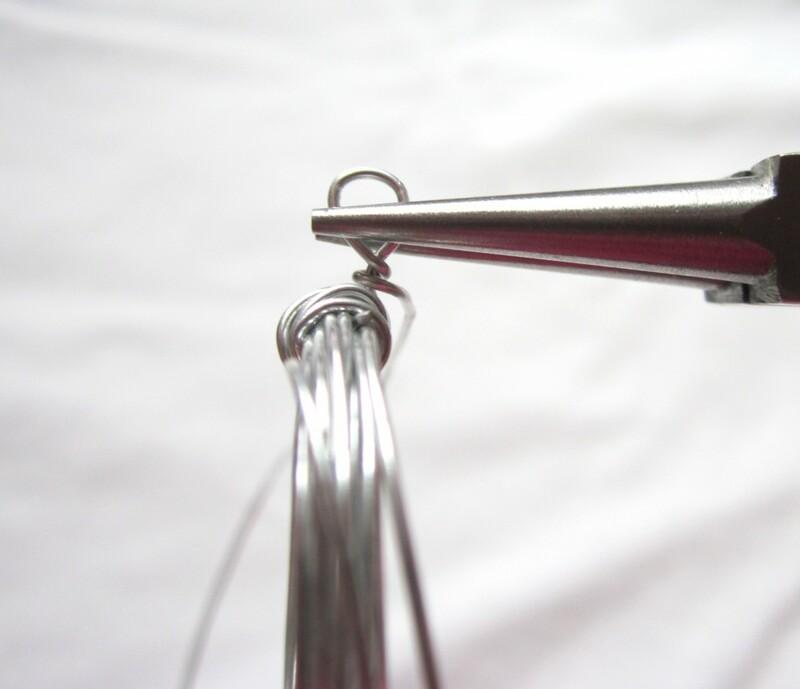 Grasp the loose wire near the pendant with round nose pliers just above the wraps you just made. 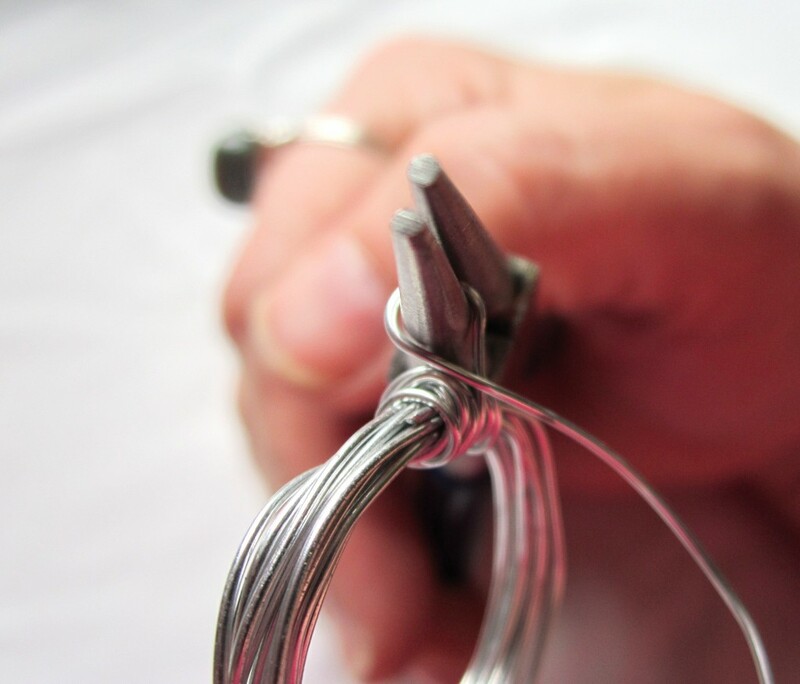 Wrap the wire around one barrel of the round nose pliers and under. Wrap around the wire one time. Then remove your pliers. 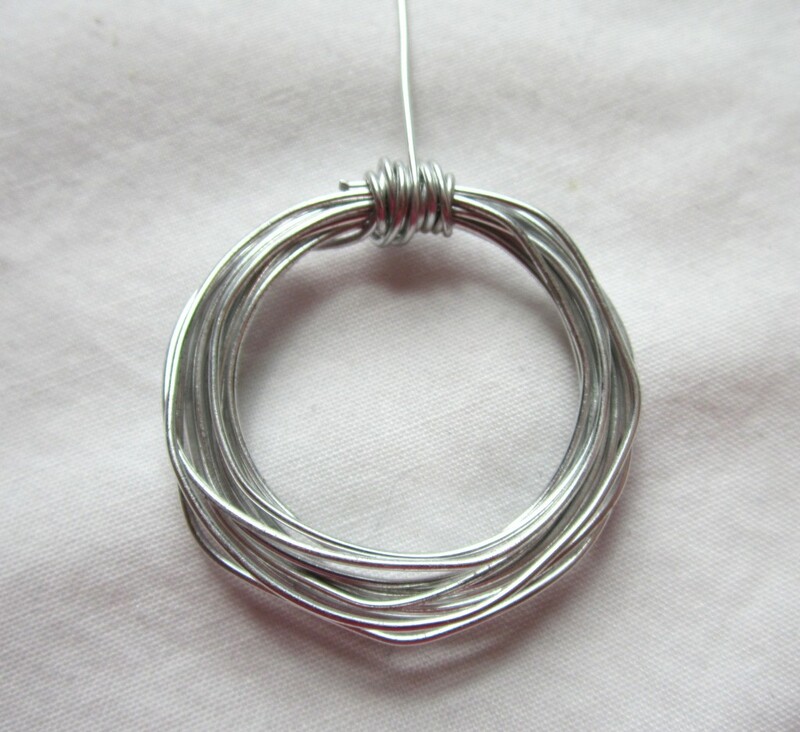 Wrap through the pendant, then around the loop and continue until the loop is stable. Pull the loop into place while you are doing this. 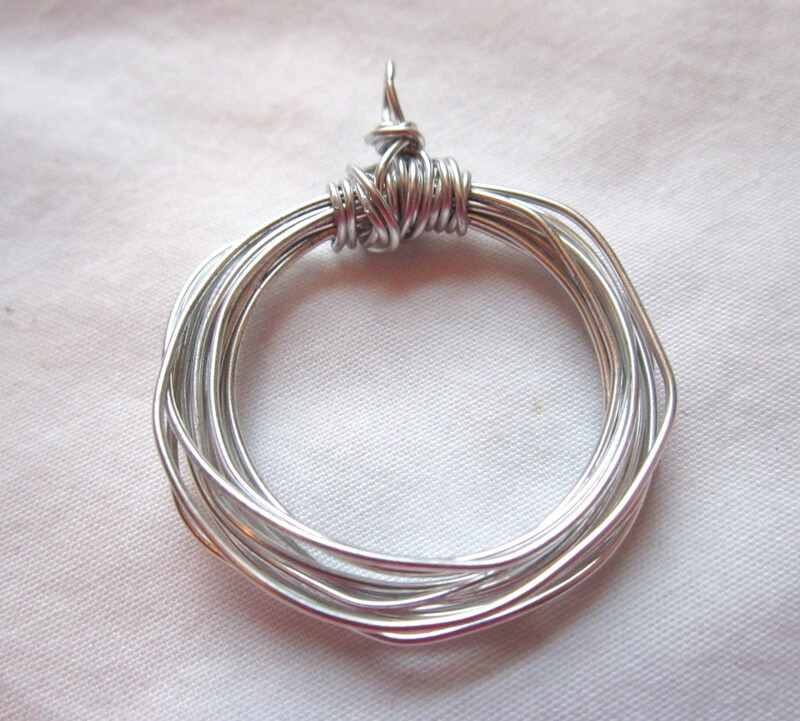 Finish wrapping by wrapping around the loop. 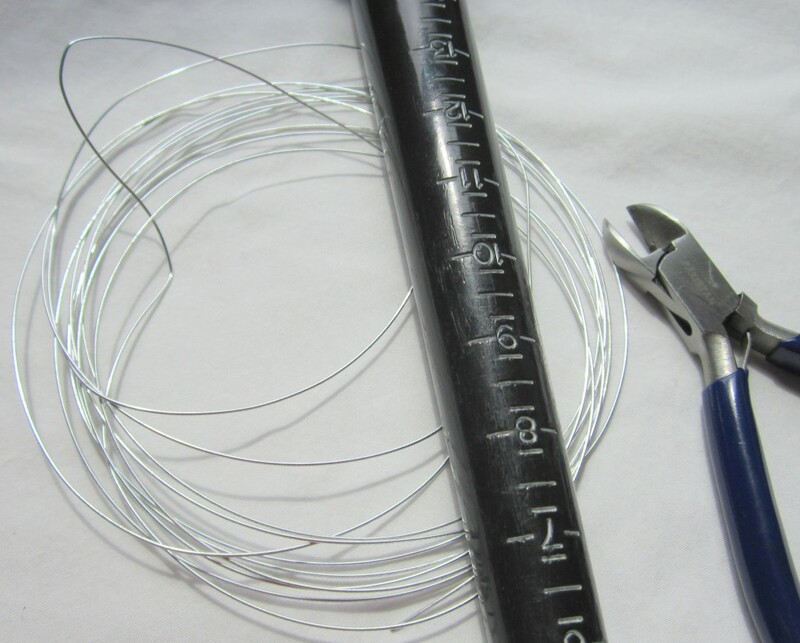 Cut off the excess wire and make sure the end is not poking out. Now you can add to a chain or cord. 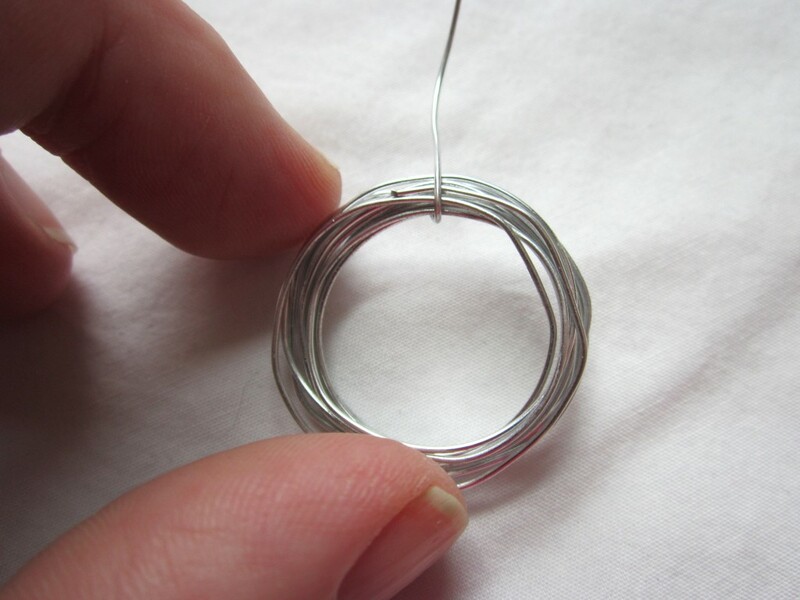 You could make 2 and add earring wires. 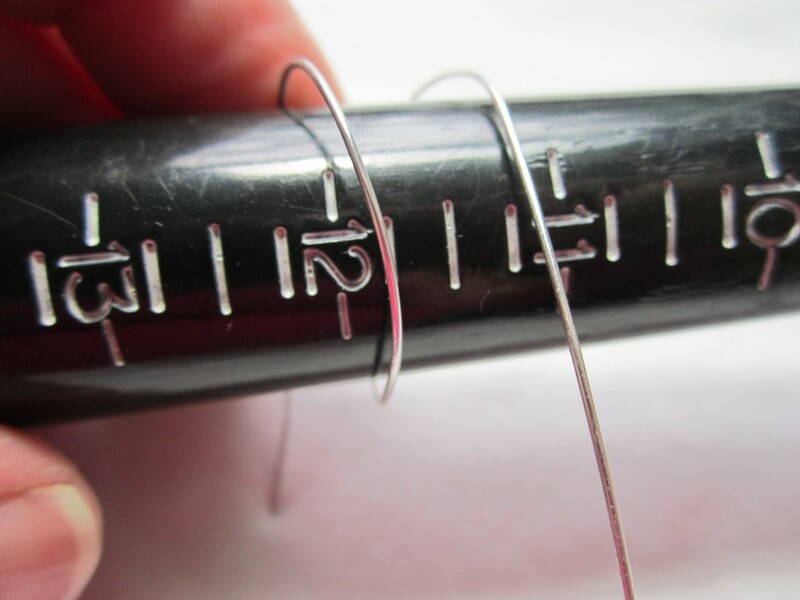 This entry was posted in How to Make Pendants, Jewelry Tutorials by Kimberlie. Bookmark the permalink.